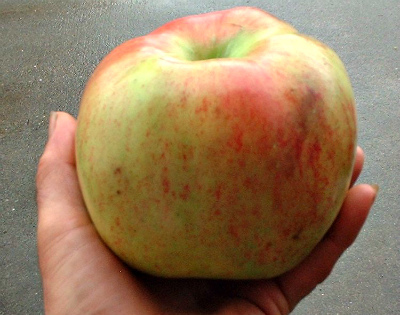 Large, old-time red-striped apple with classic apple flavor. Used for deserts, cooking or cider. Sterile pollen; cross-pollination required.